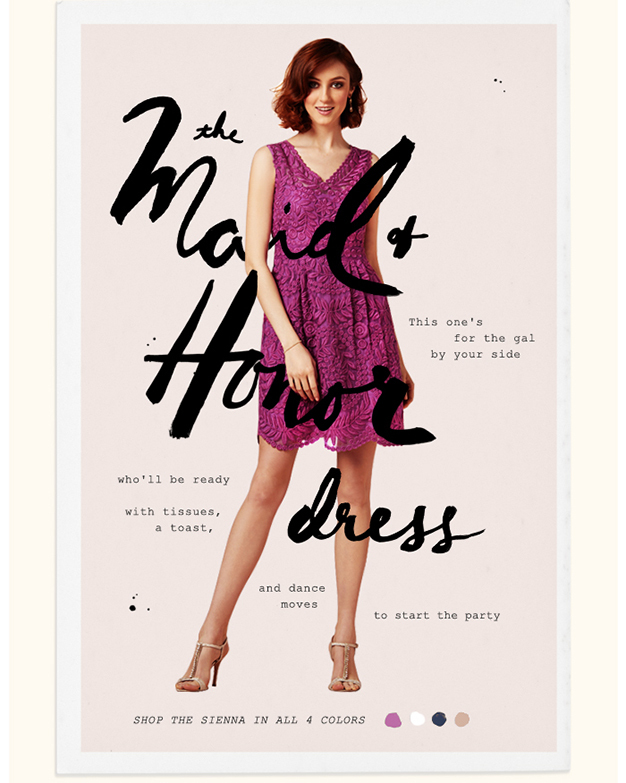 Calling all Bride’s and Bridesmaids: there’s no reason you can’t wear your bridesmaid’s dress again! Check out our Sienna dress– it’s the perfect dress that keeps on giving! Available now on BHLDN in Fuchsia, Navy, Champagne and Ivory! This entry was posted in Press on March 4, 2014 by Yoana Baraschi.